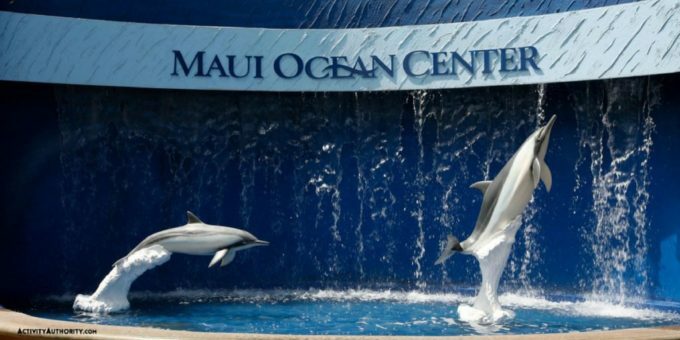 If you’re looking for things to do on Maui visiting Maui Ocean Center should be at the top of your list. There are all kinds of exhibits that show off rare marine life. My personal favourite was The Open Ocean Exhibit solely because of the beautiful sharks. I was lucky enough to catch it once when a diver was in the tank and loved how the sharks all swam gracefully around the diver. The stingrays and fish in the exhibit are all so beautiful. But there are several exhibits you can check out while there. There’s also a new exhibit being built. There will be an interactive 3D digital theater coming at the end of summer 2018 that will feature educational experiences on Humpback whales. Take a break from walking and have lunch at Seascape, the only restaurant in Maui Ocean Center but not the only one around. Honestly, this is one of my favourite restaurants. I’ve only been there once and it took forever to get a seat and our waiter didn’t check in on us once, but the food was incredible. I don’t like fish at all but the mahi mahi looked appealing enough for me to order it. I was not disappointed. On your way out of Maui Ocean Center you can stop and get your souvenirs at Maui Ocean Treasures, which is a little pricey but well worth it to take a piece of Maui back home with you. The aquarium is huge so you can kill a lot of time here. I went in around 12pm and I visited everything and read every plaque, had lunch, went to the gift shop, got my picture printed, and I was out by 3:30pm. Outside is always sunny and hot but luckily inside is air conditioned. Seascape needs to work on their customer service, but they have amazing food. Excellent exhibits that you can go through at your own pace. The gift shop is pricey but huge and has everything you could want. They offer a free digital picture. I always have fun whenever I go to the Ocean Center so I would definitely recommend it. Coolness. But I don’t really care for animals in captivity and displayed as show pieces. Big cat rescue is okay with me, but I definitely don’t like Zoos.